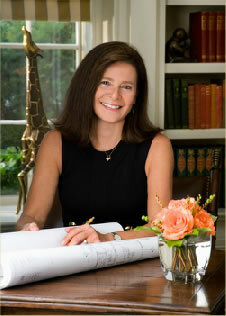 Founded in 1984, by designer Fran Springer who has over 35 years of design, construction and renovation experience. A leading full service interior design firm based in Rochester, New York, Fran and her associates specialize in classic and exquisite residential projects in western New York, the Finger Lakes region and Naples, Florida. Custom kitchens and home renovations from concept to completion with Fran’s own cabinetmakers and hand-picked craftsmen, have enhanced the capacity of her services. Attention to detail in the architectural elements of her interiors, cabinetry, furniture and finishes are unparalleled. The changing seasons light, color and sounds of Fran’s native western New York life have influenced her profoundly in her design work. The natural environment is not only a source of inspiration for her keen sensibility in determining her client’s needs, but also influences her architectural detailing, and furniture design in “The A. Meryl Collection” made in western New York. By her awareness of the visceral and intuitive responses one’s surroundings evoke, Fran is able to create living spaces that reflect the images her clients dream about, always embracing their family’s lifestyle where memories, aspirations and passions shape them. Fran’s education includes Study at the Rochester Institute of Technology, and Alfred Tech, and she is an Allied member of the American Society of Interior Designers, and a Professional member of the Interior Design Society and past President of the western New York Chapter. She takes part in ministering to women at Jennifer House, a residential program which provides a loving, safe, and supportive home for women who have come directly from detention facilities. She is also an active member of the Rochester Women’s Giving Circle, a community of philanthropic women who combine their financial strength to support area women and girls on their journey to economic independence, in turn shaping the future of our community.